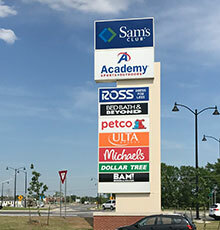 With a great location along Dave Ward Drive and S Amity Road, Lewis Crossing Shopping Center enjoys a great mix of tenants, both regional and national. 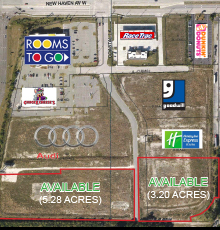 0.87 AC Property located at the corner of Dunlawton Avenue and Yorktowne Blvd. 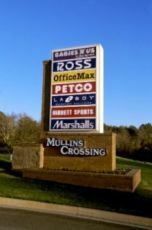 Schulman Crossing is a neighborhood shopping center located at the NE corner of U.S. Highway 83 Bypass and Schulman Avenue in Garden City, Kansas. 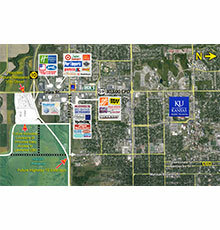 Lawrence Commons is located at Southeast Corner of US Highway 59 and Future K-10 Extension in Lawrence, Kansas. 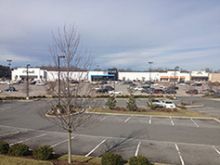 Southridge Shopping Center is a 515,066 square foot community center anchored by Target, Lowe's Home Improvement and Best Buy. 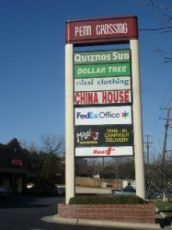 The center is located outside Asheville on McKenna Road in Arden, North Carolina. 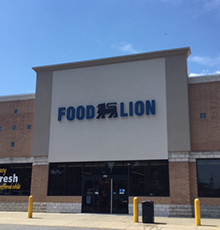 Pecan Ridge is a 45,000 square foot neighborhood center anchored by Food Lion. The center is located on Mt. Holly-Huntersville Road in Charlotte, North Carolina. Metropolitan consists of 171,929 square feet of retail, a ten-story 170,402-square-foot LEED-certified office building, 101 for-sale residential units and 1,150 parking spaces. 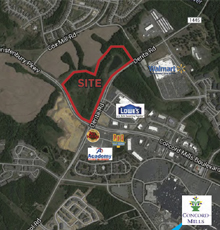 Proposed development for ± 24.73 acres of mixed use less than mile from Concord Mills Mall. 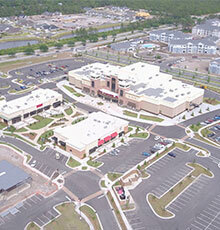 White Oak Crossing is a 710,000 square foot power retail center. 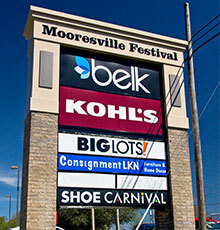 White Oak Village is a 62,000 square foot center located in Garner, North Carolina. 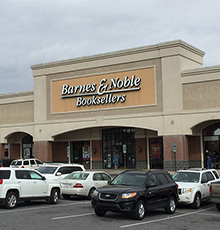 Gateway Plaza is a +/- 45,160 SF Specialty Shopping Center anchored by Barnes & Noble, The Vitamin Shoppe and Jason's Deli. Valley Corners is a 144,231 square foot community center. 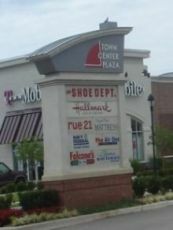 The Palladium is located within a larger shopping area known as the Palladium at Deep River. 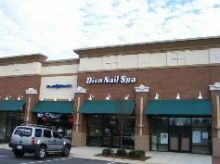 This area is well known throughout the Piedmont Triad for its exceptional array of dining, retail, wellness, and entertainment choices (including a Regal Cinemas with IMAX and 14 theaters). The center also is afforded great exposure as it is fronted by Wendover Avenue. 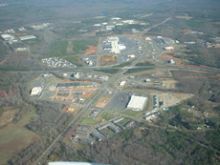 Wallace Commons is a Belk-anchored center on I-85 in Salisbury, North Carolina. 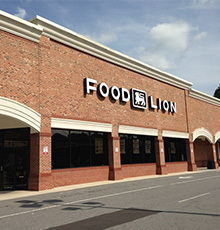 Broad Street Station is a 141,663 square foot community center anchored by Food Lion. 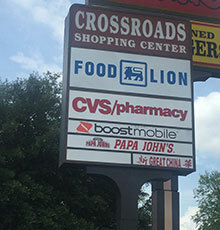 The center is located on East Broad Street in Statesville, North Carolina. 14-screen movie theater near Independence Boulevard and South 17th Street in Wilmington, NC. Anchored by Stone Theatres latest 14 screen prototype, The Pointe at Barclay, will be a new entertainment and dining destination for Midtown Wilmington. 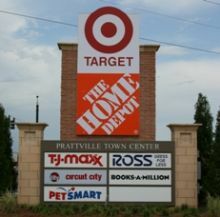 The retail project is a part of a 600 acre master planned development by Cameron Properties Land Company. 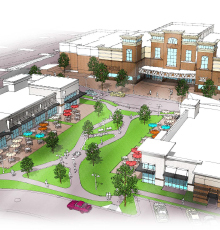 The Pointe will include a mix premium restaurants and services, along with a grocery store and ancillary retail. The construction of Phase I is now complete. 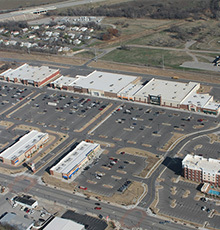 Lawton Town Center is a public/private partnership redevelopment project covering 17 city blocks at the center of Lawton, Oklahoma. The project area is located along a six block section of NW 2nd Street, a major commercial arterial connecting Interstate 44 and Downtown Lawton. 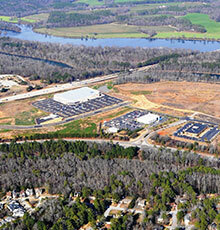 UTC II is Phase II of our 2,000,000 +/- sf Regional Power and Lifestyle Center. This is a joint development by Sooner Investment and Collett & Associates. BRAND NEW! 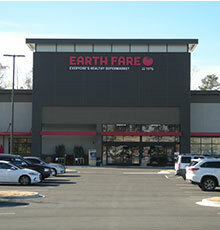 +/- 48,000 SF Earthfare Anchored Center in Fort Mill, SC. 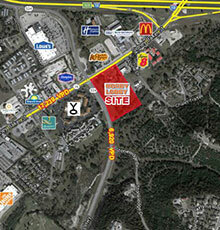 New retail development in vibrant and growing Kerrville market. 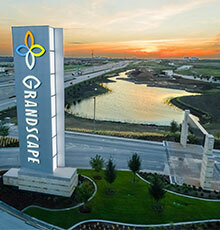 Located in The Colony, in the northern part of the Dallas/Fort Worth Metroplex, Grandscape is one of the largest and most unique mixed-use real estate developments in the country. 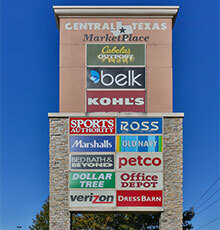 Central Texas Marketplace is a newly developed 150,700 SF Shopping Center located near I-35 and Highway 6 in Waco, Texas. 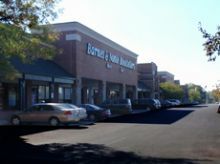 Waynesboro Town Center is located along the corridor of I-64 and Rosser Blvd and boasts tenants such as Target, PetSmart, Ross, Michael’s, and Books-A-Million; this beautiful center has been voted the “Valley’s Favorite Shopping Center” for the last seven years, according to local publications.